Nailing your sales pitch is the difference between winning and losing. Sounds silly, self-promotional, and probably not true, right? Unfortunately, we see cold emails like that go out all the time. Emails with a sales pitch talking about “our great link building”, or “social bookmarking”, “directory listing”, on and on. Just like the pancakes, there are lots of other companies with testimonials (like the kiddos in the example), promises, and a similar result as the other guys. These emails get ZERO responses. You’d have to send out thousands of them to get just a couple of deals using this type of outreach methodology. We’re not talking open rate here, we’re talking about what is inside of your emails that are getting sent to leads. Whatever they read will make or break your cold campaigns and possibly the revenue growth of your company. Here is a presentation that gives a higher level overview of this post, or continue reading to go into more detail. What else should you do to improve your sales pitch? 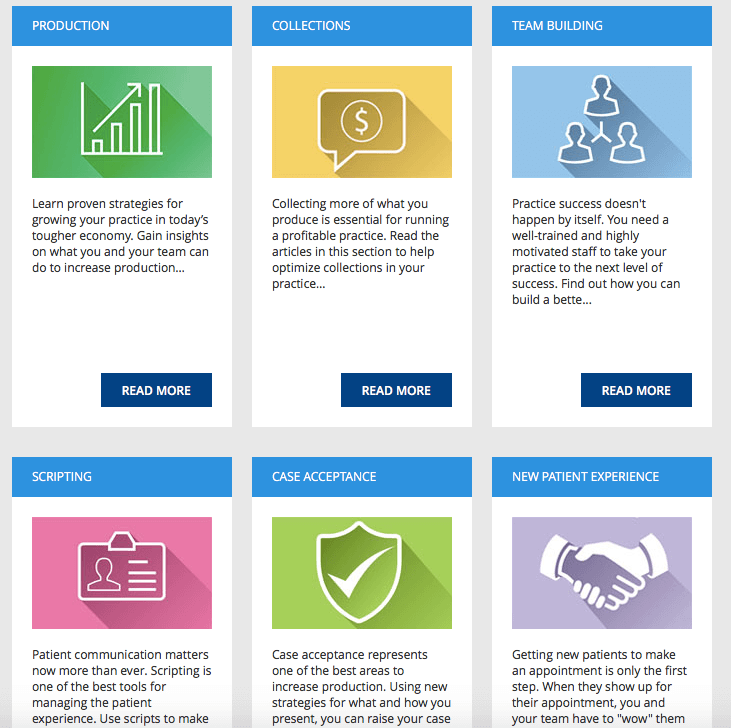 How about a case study of one of our clients? We had a customer that was targeting plastic surgeons. This industry is hard to reach (putting it softly). Surgeons make tons of money, and plastic surgery is almost straight cashflow. These doctors are bombarded with offers from everything from time shares to marketing firms. Instead of the pancake approach, our customer created a tailor-made podcast specifically to talk about the latest tactics, strategies, and trends in the plastic surgery world. Did this take time? Yes. Was it worth it? 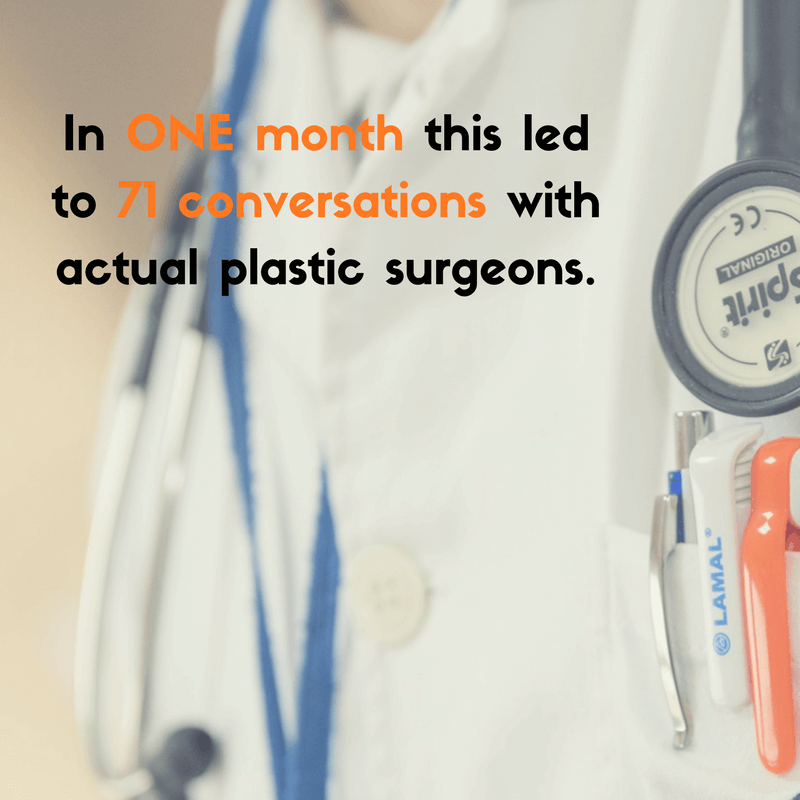 In ONE month this led to 71 conversations with actual plastic surgeons. From there (very important point), they would go on to make their sales pitch. 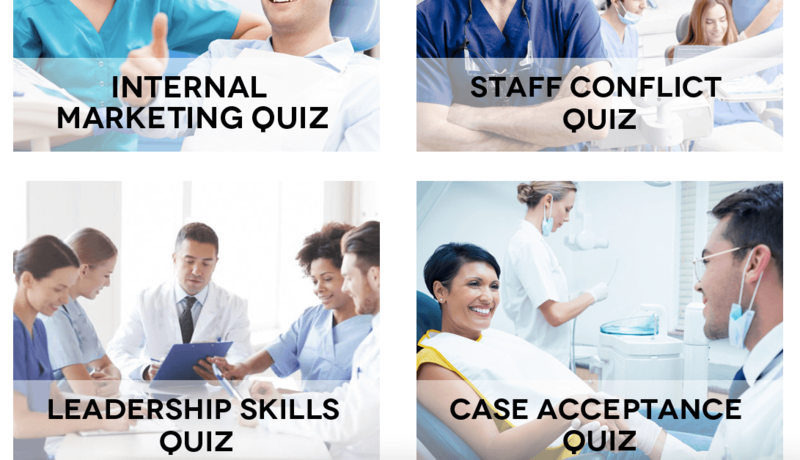 We’re talking about marketing qualified leads in a super hard medical niche. Now a relationship was established. To have any hope in an outreach campaign, you have to establish yourself in a way that makes leads want to talk with you. Telling them how awesome you are isn’t going to cut it. This guide will walk you through the steps to develop your own sales pitch. One that actually works. Let’s get started, we have a lot of ground to cover. Hopefully, you understand that everyone you try to reach wants to know what’s in it for them. You know what you get out of the equation…The chance to pitch and sell your product/service and grow your business. Most don’t want to know your direct benefit at first. If you do SEO, they don’t want to hear about how you can get them more traffic in only three months. That’s not really on your prospect’s radar enough for them to open a terrible cold email and beg you to take them as a client. Even with good prospecting, quickly trying to sell your goods won’t resonate. Be interesting (to your target audience). Make what you do relevant (to your target audience). What you do is boring. Helpful, but not interesting. Don’t get mad, it’s bad all over. How many heads you think we turn (outside of Silicon Valley) when we mention we’re in lead gen software. But we love what we do and make great businesses even more money by automating their outreach. 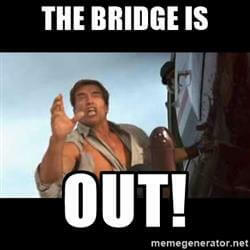 Arnold in True Lies was a super spy who had to act like he was a computer salesman to keep up appearances. Most businesses have the opposite problem. You’ve got to convince them that you’re some kinda super hero before you set them up with the usefulness of your product (like those sweet Windows 98 computers Arnie was pretending to sell in the movie). You may have heard the old sales term, “It’s easier to sell an aspirin than a vitamin”. If someone has a headache, the aspirin is a sure bet. The vitamin, someone has to be sold. It’s pain point vs. luxury and it’s a very accurate portrayal of how it can be easier to sell products that solve a problem and harder to sell things that don’t. But if you really want a cold email to get a response, you have to go further by taking that aspirin and putting it in the form of one of those gummy vitamins. You’re turning something that is useful into something that’s attractive. What do your targets want to hear? What kind of research needs to be done? Is there any psychology that can compel them to respond? Will your leads listen to a podcast? These are all questions that must be answered before you begin to worry about packaging your offer into a sales pitch. Showing them a boring service or product (that they really need) takes thought. Re-positioning your sales pitch to where it’s actually interesting takes time and effort. There are tons of ways to make people perk up when your email arrives (no matter what you’re selling). Restaurant owners want to get positive reviews, lower shrink, and open a second location. Manufacturers want to shorten supply chains and improve output without increasing overhead. Nursing homes want to protect, improve, and build their reputation. Really, take a minute and figure out what your leads want to do to improve their business. Bonus: Here’s a quick post that could help you (if you’re still having trouble). To begin answering those questions about your prospects, you have to start visiting the same places they do. If you’re not willing to find what interests your targets, you have no business trying to reach out to them in the first place. You may as well send one of those, “I was going to call you, but figured I reach out here first” canned emails. Read some industry blogs, or white papers. Try to find some keywords and terms that seem to be buzzing around. 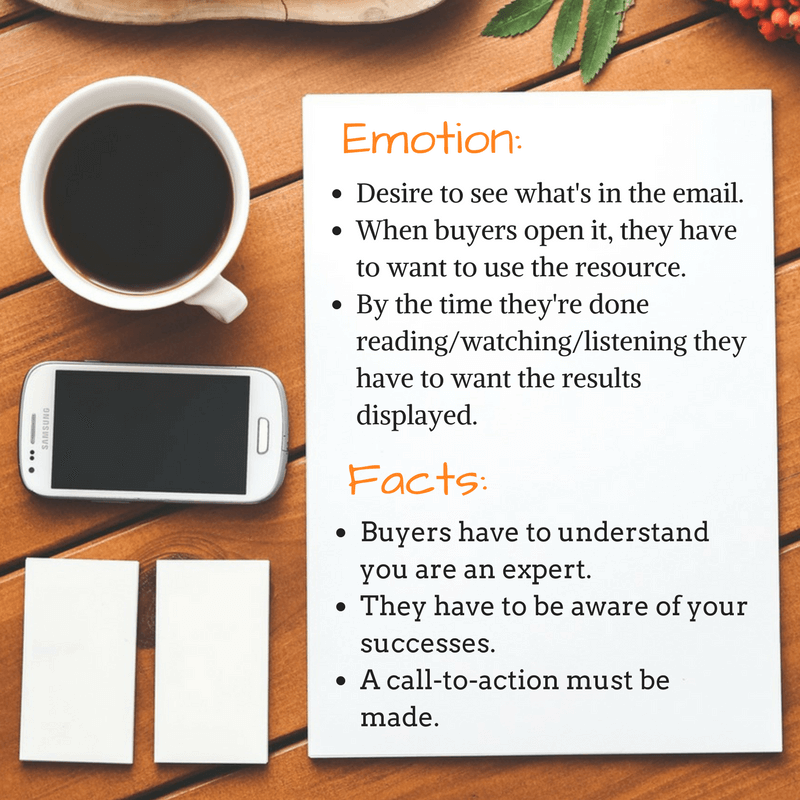 Once you have a loose idea of what your buyers want to hear, it’s time to go into deeper water and extract the things they’ll want right away. We’ll give you a couple of tactics to get you started. Go to a site like Buzzsumo (it’s free) and see which terms are getting shared the most. We did a sample search below for the term “lead generation“. Then, we tried searching for “dental practice management”. We all know that someone reading this is trying to sell something to dentists. It’s like the go-to B2B market, right? Anyway, here’s what we found in the results. There’s a lot of room here to find a topic that can bridge the gap between you and your ideal client. Doing studies and running surveys of your audience is a great way to gather intel, but that will take a lot of time and maybe even a third party. It’s more likely that the research you need is already available. 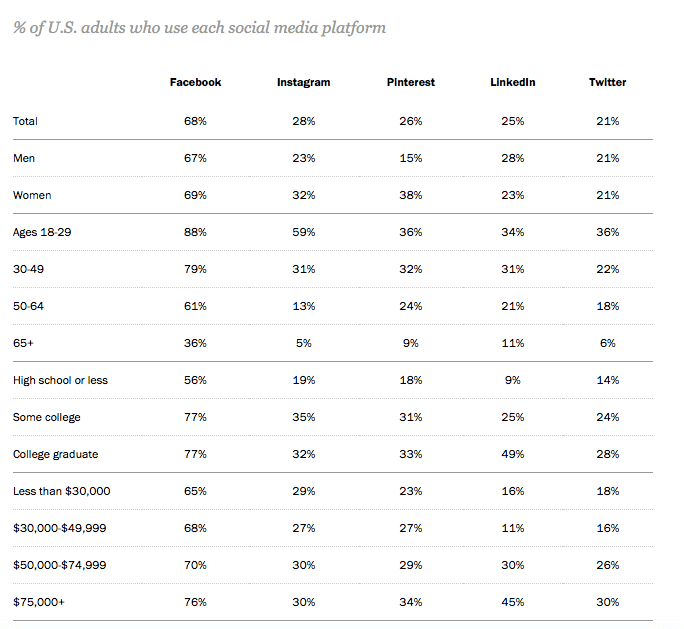 One of the best places to look is Pew Research. Many LeadFuze clients are in software. And social media is a key component to both gaining and interacting with leads. We went to Pew to find out if their research could help. A quick search along the menu at the top lead us to see the “Internet & Tech” section. 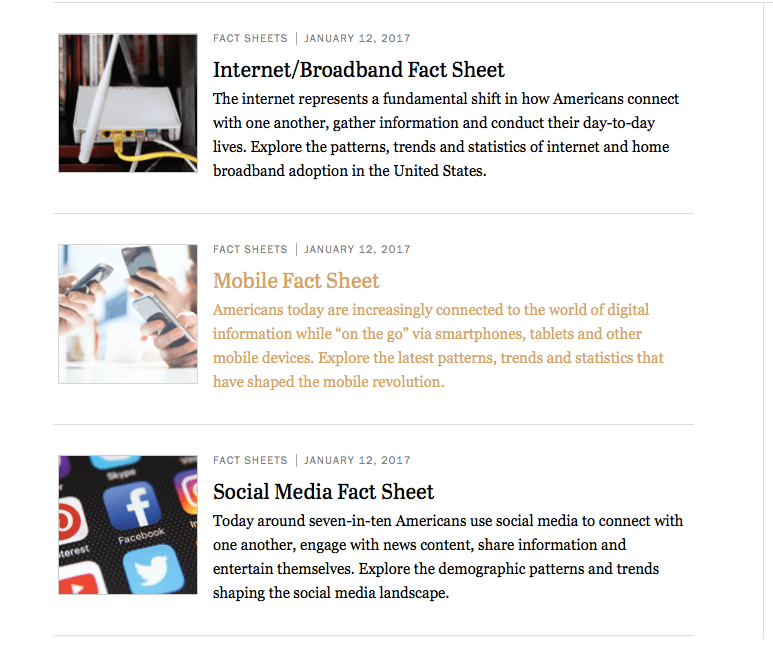 We found the “Fact Sheets” tab interesting and clicked on it to find a few sets of data. Low and behold, one of them was about social media. On this piece, we were happy to find a ton of basic, but useful facts that could be used in creating a resource that speaks to businesses in a way they understand—facts. The cool part is that you only need to give credit to Pew in order to use these facts in your own material. 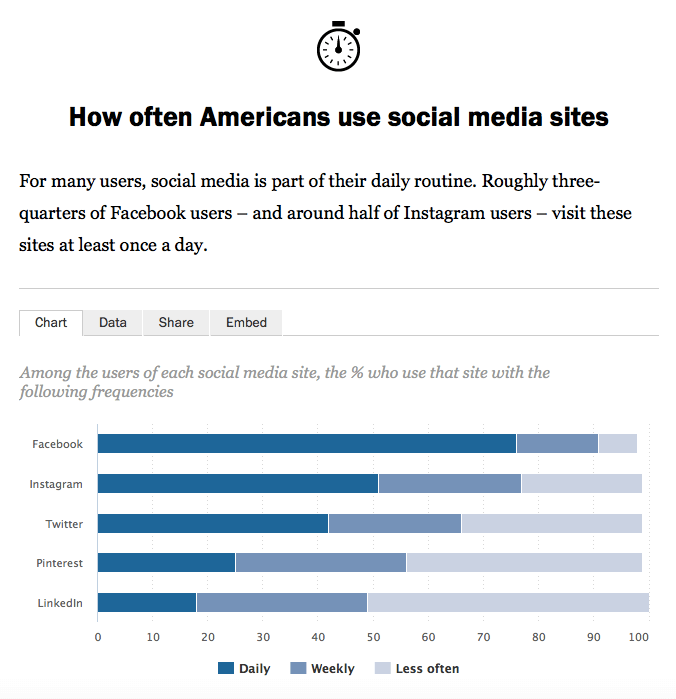 Like, right now, we are using Pew research to help you understand that we know what we’re talking about when it comes to researching. Bonus Resource: These are just a couple of ways to find the content that your leads really want from you. HubSpot wrote a great post summarizing 17 different tools. You may want to bookmark it for future use. There is a lot that goes into the buying process (from your buyers’ point of view). Almost every step has to do with their noggin. 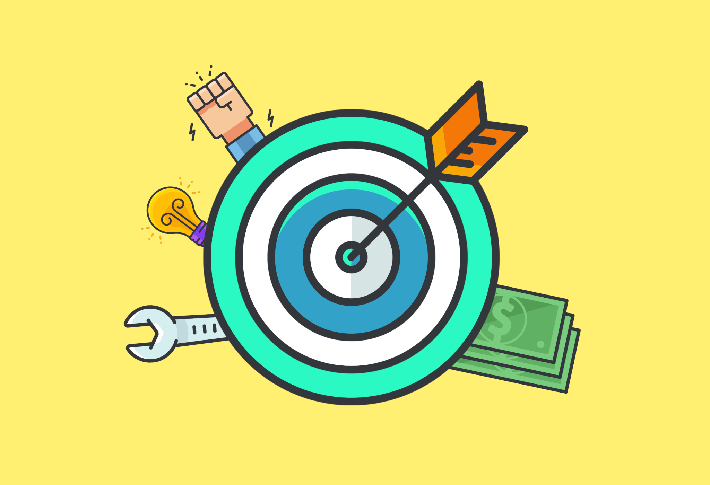 We aren’t going to go deep into the brain activity of the consumer here, but we will cover the basic points that you need to know when creating your irresistible offer. Copyblogger wrote a great post that is worth reading. 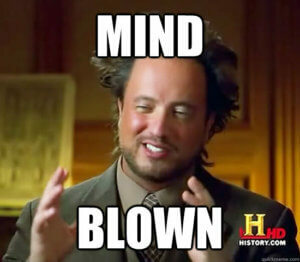 In it, they state that “people make decisions emotionally” and “people justify decisions with facts”. It’s these two keys that help you get responses from your cold emails. At the same time, you are setting yourself (or your brand) as the expert. Readers, viewers, and listeners all need to be moved from their wants to their needs over the course of an email or two. Let’s break it down. Bottom Line: If you get this, you can get leads to respond. Creating a compelling offer happens when you can make leads emotionally desire a result (that you convey with your resource) and factually prove that you can create the result shown. Once you find that bridge between what you’re selling and what leads want to learn, it’s important to run the full hundred meters of this race. It would be tempting to just spin the data you looked up into an original post or white paper. Or to hire someone on Fiverr to write content that barely passes inspection. Nope! Don’t do it. If you’re going to do that, just send spam. It’ll work about the same. One of the best tips we could give you to make your pitch unique is to find out the most shared and valuable piece of content—and make it better. Think about the real-life sales pitch example we gave. Do you know how much effort it takes to record a podcast and upload it on the internet? If you’re interested, here’s a detailed post and a couple of hours worth of video tutorials on the topic. It wasn’t easy, but the results speak for themselves. Why would you put so much into your business and not do your best to sell the product? Take what you have to sell. Find (related) things leads want to know. Research to find out what they already like. Make a (better) resource for them. Highlight (factually) your ability to solve a problem. Hopefully, your offering is starting to become clear. If you’ve read this far, your mind should be starting to think about the ways you can grab the eyes and ears of your leads in ways that don’t start with a cold, hard pitch. Now, we’ll change gears a bit and talk about how to package the email itself. There is a lot to convey in such a short amount of text. You have 2-4 sentences (5 max), to tell them what you do and give them a way to learn more. That’s not a lot of room for an introduction. In fact, you shouldn’t introduce yourself. That’s why you have one of those fancy signatures at the end. With Gmail, they already see your face anyway. Just get to the point; the clear value that you hope to tell them more about in a conversation. You’ve probably read several posts about this one little thing. It dominates that discussion of outreach, because it’s so important to the open rate. We could hash out those details, but we’ve written extensively on the subject. Here are few links on the topic (from us and others). Most readers can see the first sentence, making it barely second to the subject line. There are a few sentences that you could use, depending on who you’re trying to contact. The Gush: If your audience is a reach up like to CEOs, celebrities, or others who may be publicly notable—tell them that you enjoy their [insert thing they do here]. The Brag: This is where you start off with a closely related and well-known client of yours to prove that you are a potential fit for their brand right up front. Sales Pitch Example: We just finished a project for [insert fancy-pants customer you’ve worked with here] and thought…. The Point: You know your leads. If they don’t want their time wasted, often times the best thing to do is give them the goods in the first line. Sales Pitch Example: I was wondering if you were looking for more social media leads for your dental practice? Make sure that one of your few sentences is a question. It’s like the call-to-action. The whole email should be geared toward getting a response. You should actually include a couple of sentences that maximize the potential to getting an email back. Doing this provides two opportunities for the lead to answer, one aggressive and the other not. If they answered the less aggressive question, they may need more nurturing. 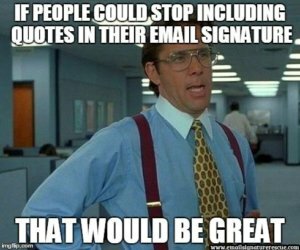 But if they email back asking for quotes—it may be a faster qualifying process. Your signature should be the only contact information that you give. Don’t tell them your name, don’t start out with who your company is, none of that. Put all relevant data in your (professional) signature at the end of the email (before the P.S.). Don’t make it too long. They don’t need to know your birthday, favorite color, and NO inspirational quote. Always include a P.S. in your cold emails. It’s more likely to get read than the second sentence. O.k., so we may not have hard data on that last sentence. That said, post scripts get read by everyone who opens the email. If you have a great resource that is perfectly tailored to your ideal leads, this would be the ideal place to put it. Those leads who opened your email and shrugged with a “Meh” may look down and say “Ohh”, leading to an eventual response. Remember our case study? This is how you go from ZERO to 71. We have to go over one last critical piece to the cold outreach puzzle—timing. Your compelling offer is going to be the cornerstone of your outreach, but most of the time it won’t take on the first send. Often times, it takes multiple touch points and emails to get a response from even the best leads. In order to make the most of your lead list, you’ll want to send several emails; timed in a way that gets a response without annoying people. What Time Should You Send Emails? The timing that works best will need to be tested on an individual basis. Your leads may respond better certain days and times (e.g. mornings or evenings). But there are a few bumpers we can put up to keep you going down the pipe. Weekends are (usually) out. This includes Friday. Most of the world isn’t working for the weekend. Mondays may not be the best either, but it’s not a terrible day. Early mornings before 9a.m. in the timezone your sending may work well for executives and other typical decision makers. Other than that, keep good track and tweak until you see a maximum response. A cadence is just a sequence that allows you to plan when you’ll send your follow-up emails to leads. Keep in mind that it will take multiple touch points to get a response from almost all of your leads. We don’t want you to go all the way through the process, send one email, and then get disappointed. It takes a few tries (in some cases) to get a hold of someone. If you don’t get a response, send more emails. Here’s a sample schedule, but remember — tweak until it works for you. From here, you can continue to follow-up bi-weekly or monthly until they tell you to go away. If your goal is conversations with quality leads, then your offer (aka your sales pitch) is what you need to focus on. Timing, email copy, and even subject lines can be tweaked and tested. It’s the offer that has to resonate with your target audience. What are some of the best sales pitch examples you’ve seen/heard? Let us know in the comments!